AT LAKESHORE ADVENTURES IN DOOR COUNTY. FUN IS WHAT WE DO! 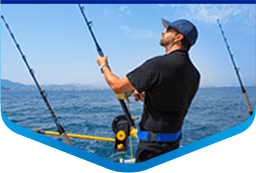 Kayak Tours, Zip lining, Charter Fishing, Boat Rentals & Lots More! On the water or under it. across our gorgeous landscape or above it. we know how to make sure you have a great time in Door County! Book a shipwreck tour on a clear bottom kayak, experience Door County’s # 1 zip line tour or battle king salmon on a Lake Michigan charter fishing trip. Plus, Kayak rentals, paddle board rentals, pontoon boats, bikes, and more! 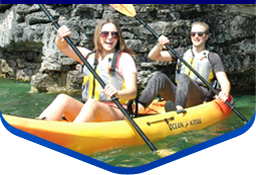 Why Door County for outdoor activities? The Lake Michigan coastline is unlike any other place on Earth. Sandy beaches, clear water, deep forests, unique lighthouses, and Baileys Harbor has over a dozen accessible shipwrecks. Plus, the friendliest people anywhere. Lakeshore Adventures is the Door County outdoor activity expert. Looking for corporate team building activities? Lakeshore Adventures handles everything from planning to food. Locals know we’re the experts on group activities in Door County, Wisconsin. 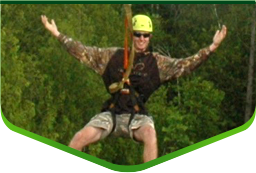 A breathtaking thrill ride on a 20 acre, 5 element canopy tour with a 600’ side by side race line finish. We make it easy to get the reliable equipment you need to enjoy our area. 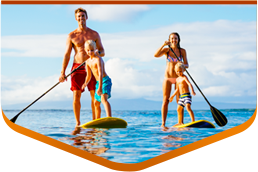 Kayaks, paddle boards, pontoon boats, water sports equipment, and bikes all from Lakeshore Adventures. We’re THE place for Door County rentals.